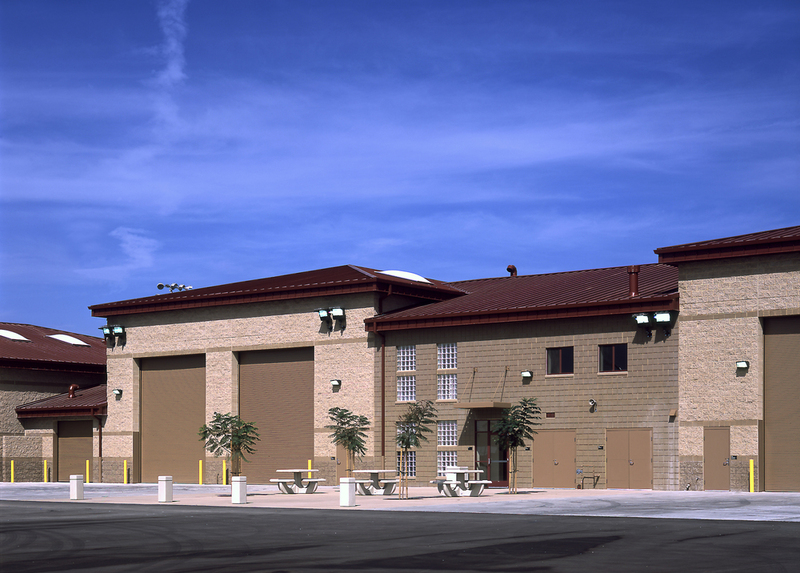 This 5,577 SF design-build Tactical Vehicle Maintenance Facility is located in Area 21 of MCB Camp Pendleton. 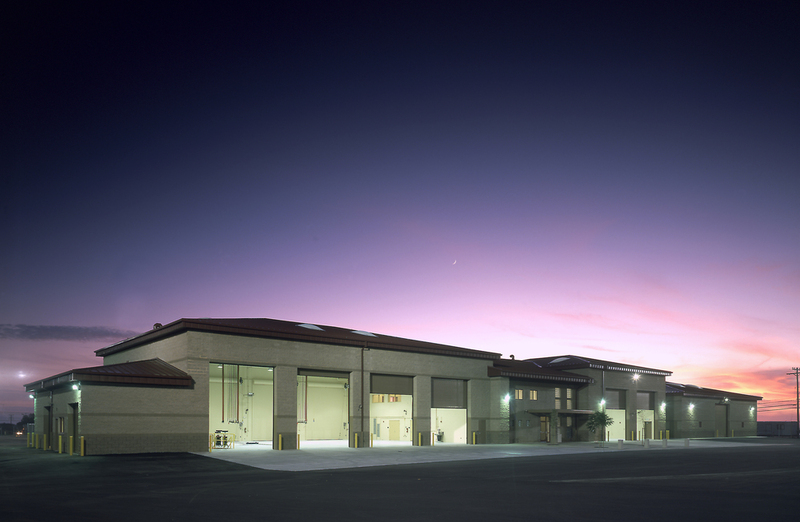 The project consists of maintenance bays, engineering bays and small shops, as well as a two story office area. Solar photo sensors control lighting in the maintenance bays and warehouse. Energy efficient lighting products with light control sensor switches were used throughout. The maintenance bays include vehicle roll-up doors, air compressors, hose-reel exhaust and lubrication system, waste fluid collection and storage system, water reclamation, and an overhead crane.